A man has been jailed for 12 weeks after abusing members of the public in Winchester city centre. 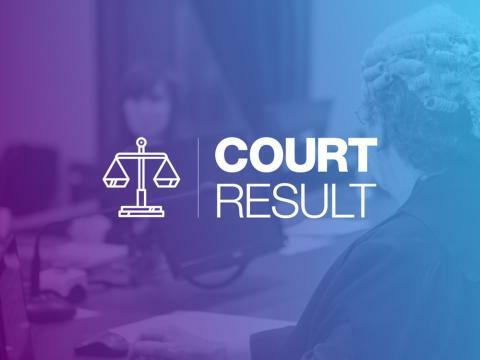 James Anthony Lloyd, 31, of Christchurch Road, Winchester, appeared at Basingstoke Magistrates’ Court on Tuesday 22 January. He pleaded guilty to two breaches of a Criminal Behaviour Order that had been imposed on him in 2016. The order means Lloyd is prohibited from acting in an aggressive or abusive manner, or in a way likely to cause harassment, alarm or distress in Winchester city centre. The court heard that on 13 September last year, Lloyd breached the order by using abusive language in High Street. He then entered Reeve the Baker, where he repeatedly asked staff for money and swore. The following day, the court heard that Lloyd shouted abusive language at members of the public while begging in High Street. The court heard Lloyd’s offences were aggravated by his record of previous offending. He was jailed for 12 weeks. Inspector Jon Turton said: “We hope that this sentence reassures residents and businesses that we will take action against those who commit such public order offences. “Lloyd was well aware of the conditions of the Criminal Behaviour Order previously imposed on him, and chose to act in a way that distressed others. “We work with our partners, including Winchester City Council and Winchester BID and their Ranger team, to make sure those who need help in the city centre are offered support. “Winchester also has the Spare Change for Real Change campaign, in which members of the public are encouraged to give money via collection boxes to Winchester Churches Nightshelter and Trinity Winchester, to support those who are genuinely homeless.